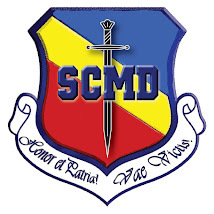 SE REIA ACTIVITATEA LA SEDIUL S.C.M.D. - FILIALA ORADEA STR. EPISCOP MIHAI PAVEL NR. 8, INCEPIND CU DATA DE 04.09.2014 , IN FIECARE JOI A SAPTAMINII INTRE ORELE 17.00 - 19.00 . IN FUNCTIE DE PROBLEMATICA URGENTEI .